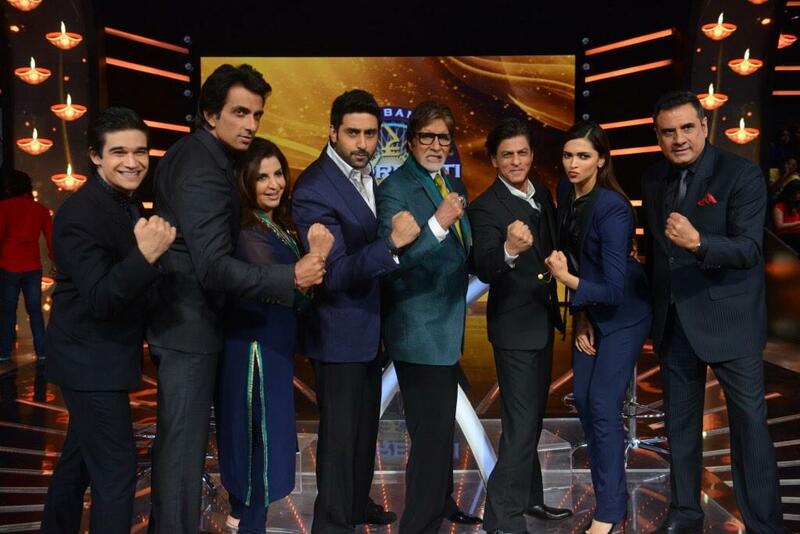 Happy New Year movie team are the special guest on Kaun Banega Crorepati for the Diwali Special. The HNY team makes a quiet entry with torch lamps and takes out the PCs from the stage and then SRK and Abhishek goes into Big B’s room and takes/steals some clothes as well. SRK also finds Big B’s pen and takes it. 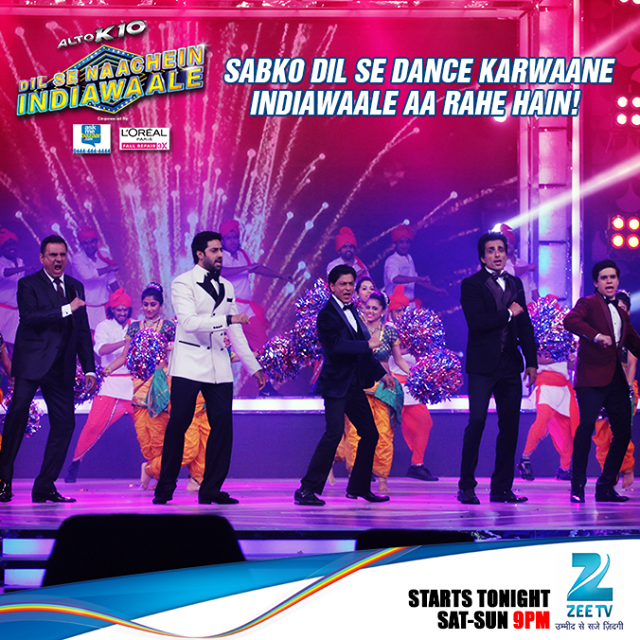 Dil Se Naachein Indiawaale is a new dance reality show on Zee TV and is mentored and judged by the team of Happy New Year movie – Shah Rukh Khan, Abhishek Bachchan, Deepika Padukone, Boman Irani, Farah Khan, Sonu Sood and Vivaan Shah. 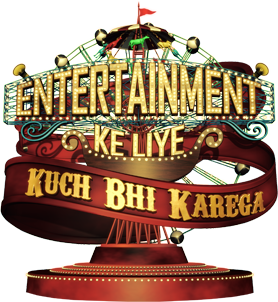 The show has been coming back on the Sony channel replacing Jee Le Zara and Desh Ki Beti Nandini. The show has been hit in its previous season and this one being the 5th. 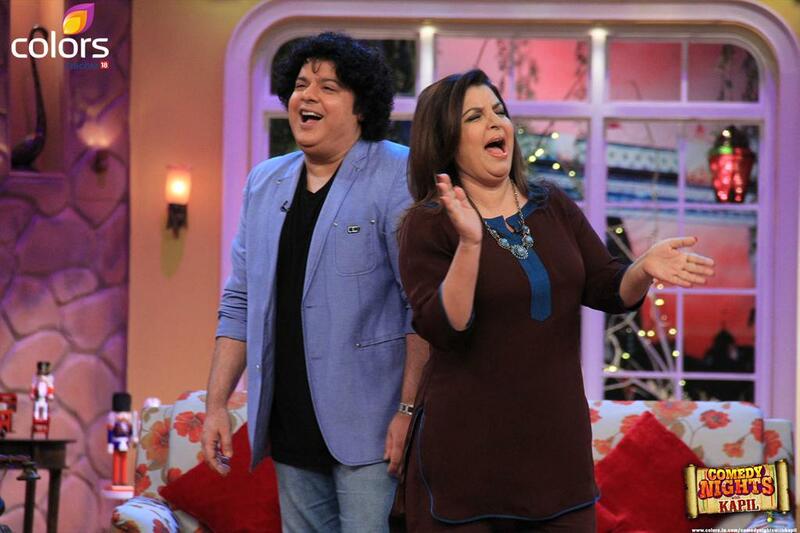 Anu Malik and Farah Khan are the judges of the show who value the best talents on the stage. Karan welcomes the extremely affable and magnetic Abhishek Bachchan. Abhishek says what a nice set Karan, very tasteful. They get seated and start the witty conversation. Karan: How does it feel to be back, you are here for the fifth time? Abhishek: I’m a returned guest. Its wonderful. 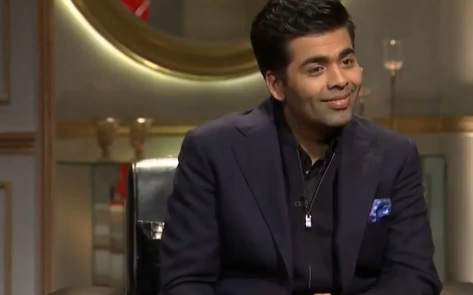 Karan: Dhoom was a huge blockbuster and Bol Bachchan did well, you were exceptionally good in it. What’s your take on it? Abhishek: Wow, its like Déjà vu. It teaches you a lot. It keeps you alert. You can never judge what the audience wants. Bol Bachchan did well, it fills you with great enthusiasm. Dhoom is about Uday Chopra and Abhishek Bachchan. It was great to work with Aamir.